As the town of Newtown tries to continue on with their lives and the children of Sandy Hook elementary resume classes in a different school, a Colombian businessman and maker of bulletproof clothing has released a new collection of bulletproof vest and backpacks for children. 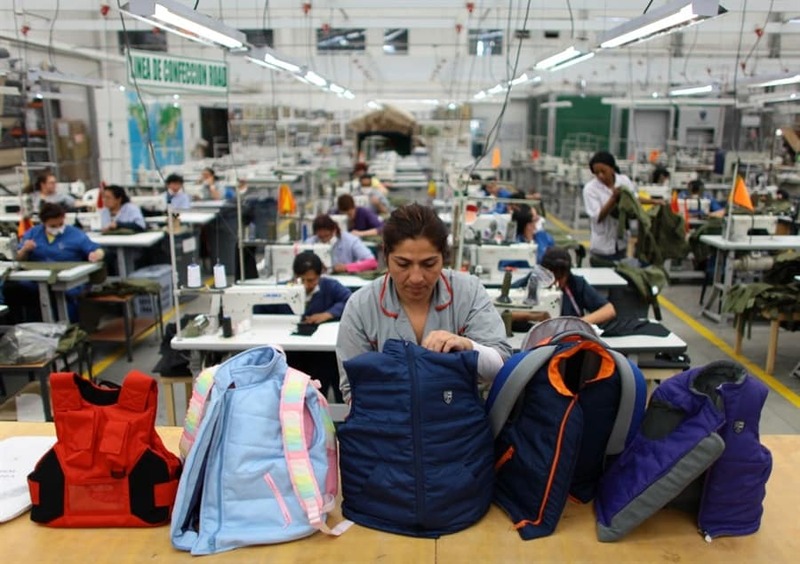 “We started the collection 15 days ago,” says Miguel Caballero, CEO of Miguel Caballero Ltd., which has created bulletproof products for 20 years and is used by the presidents of Ecuador, Panama and Paraguay, among others. Today Miguel Caballero had the first order of 24 vests from the U.S.
A move towards creating a product line specifically for the American market is new for Miguel Caballero ’s company, which sells mostly to Qatar, Dubai, South Africa and Latin America. “This is the first time we’re thinking with the American market in mind,” Caballero says. But some are afraid Miguel Caballero ’s product line misses the mark in a big way. Dr. Alvarez says it reaches 100 degrees in California and children wouldn’t be comfortable wearing bulletproof vests. She says the same holds true if they were running around on a playground in Arizona or wearing a big coat in the Northeast. Dr. Alvarez also says the act of wearing bulletproof vests would be psychologically damaging for children. Now the new MC Kids line is prominently displayed on the MiguelCaballero.com site. When you click into it a girl and a boy are shown wearing bulletproof vests that appear to be normal clothing. The entire product line consists of a kid’s t-shirt, a puffer vest for kids, a safety vest and the V-Bag, which is a combination vest and bookbag. Dr. Alvarez doesn’t believe children should have to deal with such measures. “It’s a constant reminder that ‘I lost my childhood and might get shot at any moment,’” she says, invoking recent talk by legislators to put guns in the hands of qualified teachers.